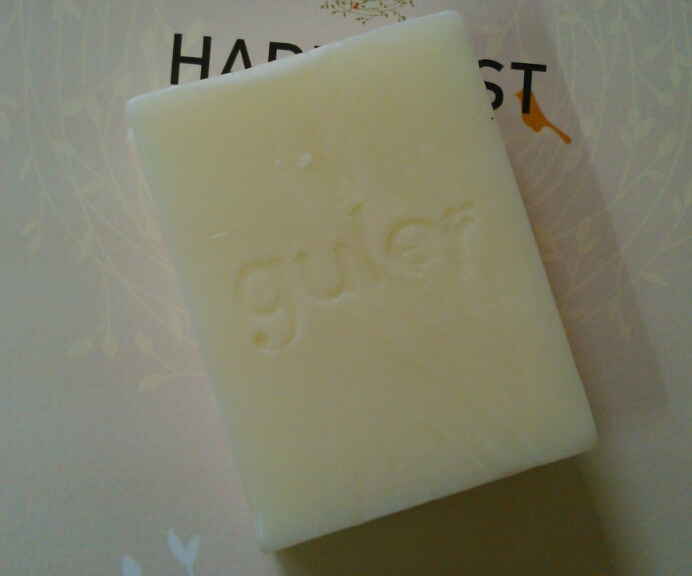 Let's head onto the review of one such handmade soap from Aster Luxury. The soap variant is Apple Lemon which is very uncommon combination. The soap doesn't claim to do anything hence Brand claims section is missing in the post. The soap is packaged in a simple transparent packaging with the brand name and variant name at front. At the backside the ingredients, packaging details, price and shelf life are mentioned. Coming to the appearance, the soap is milky white in colour and rectangular. The fragrance is fruity, tangy, appely in nature. The fragrance is a bit strong, rather too strong. I personally prefer mild fragance in everything regarding bath and body, be it of any kind then. The fragance doesn't linger though post shower and that's a good thing for me. The soap lathers quite well and gets washed off easily. The lather is quite frothy and I like this kind of frothy foam as compared to the bubbly ones. The soap cleanses quite well and makes the skin feel fresh and clean. It removes the excess oil without drying which is a good thing. I apply oil to my hair all day long so my neck becomes a bit oily (yucky). Overall the soap is a good option to try out if you are into handmade soaps. Although I have a complaint regarding the fragrance which is a bit strong and I cannot stand it as I have a picky nose. Also soap needs to be dried thoroughly before storage. Price, shelf life- 60 INR for 75 grams with a shelf life of 2 years. If you are into handmade soaps and love experimenting then you should try this uncommon variant of Apple and Lemon. I personally loved the soap for it's efficiency sans the fragrance. I personally don't like strong fragrance but that may not be a problem with you. Overall a good option to try out for handmade soap lovers.